Our trip plans are often derived from certain objectives. Two years ago we came up with the idea that, on the Christmas day, we will be somewhere with Snow. Its quite fun and natural to plan a trip with this spontaneous and natural objectives. We have been also traveling to the North East Indian states for few years now with the intention of traveling to all the states. So, the natural choice was to look for a mountain range in the region. 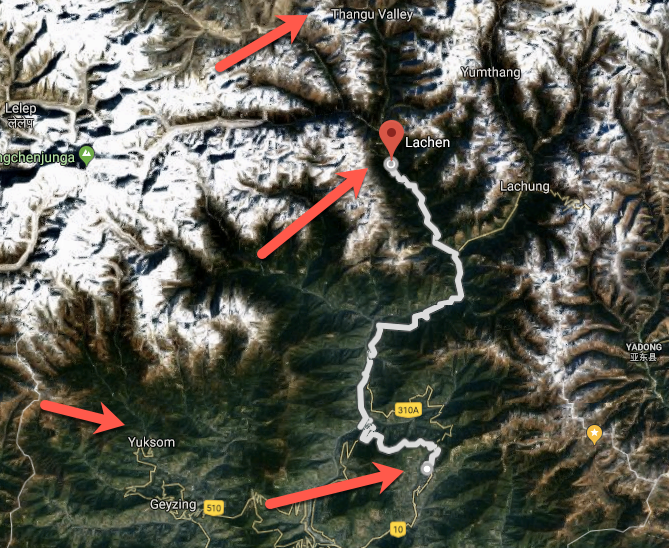 North Sikkim was selected and on Google maps we looked at some of the farthest villages. It looked pretty remote and interesting. 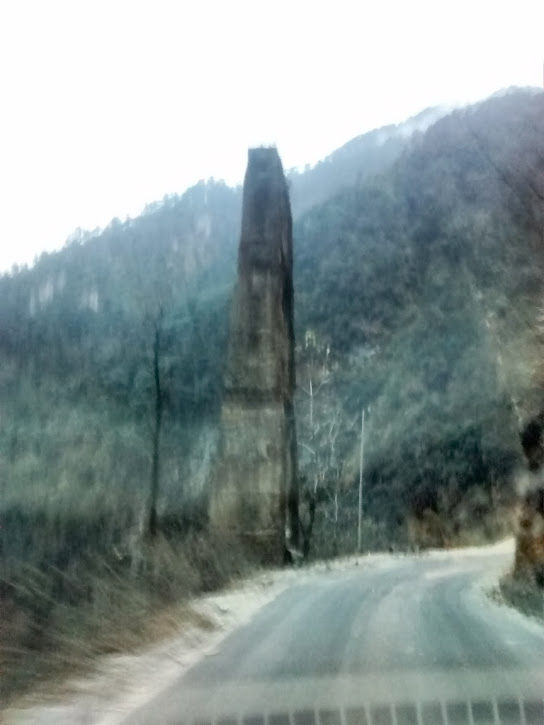 Also we had gone to Yuksom - the Ancient capital of Sikkim the previous year. 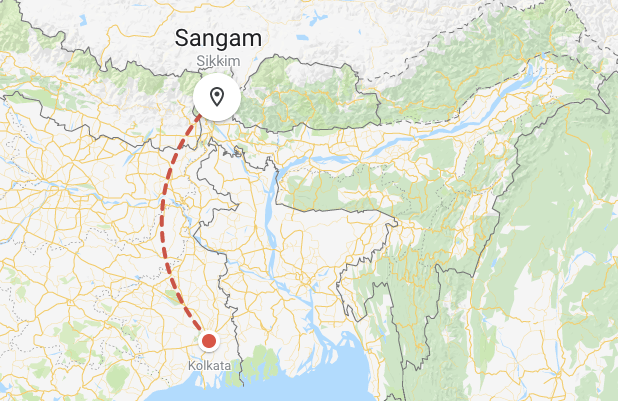 So, Lachen it was and we charted out our trip from Kerala - Kolkata - Siliguri (Bagdogra Airport) - Gangtok and finally to Lachen. 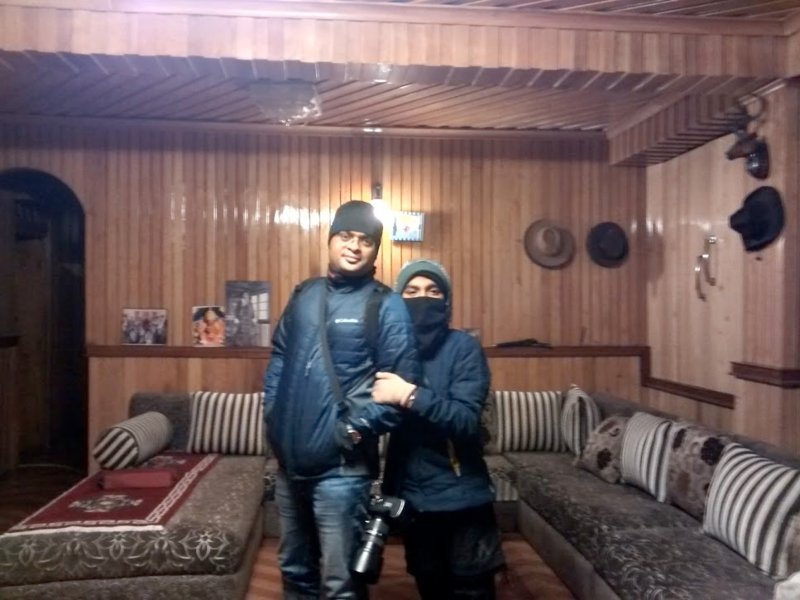 Its a habit for me to visit friends from college days when I travel and this time also I called up a friend and told him, I am visiting to North Sikkim. He asked me exactly where and to which I said, its a remote village called Lachen and we have planned everything already. Little did I expect I expected him to say "Abey" / (hey) - that's my Village! I confirmed many times and realized, that's really the case. His Second name was Lachenpa. Everyone from the village had their second name as "Lachenpa". He agreed or rather insisted to take care of everything and we agreed hesitantly. We miscalculated or ignored the possibility of flight delays & landed in Kolkata hours late due to heavy smog. 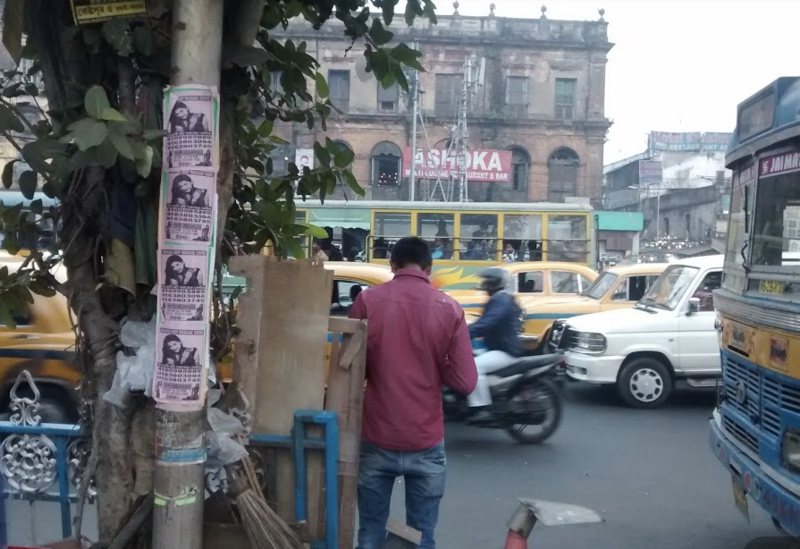 Apparently around that time, Kolkata was engaged in a tight competition with Beijing and New Delhi to emerge as the winner of the most polluted city in the world. 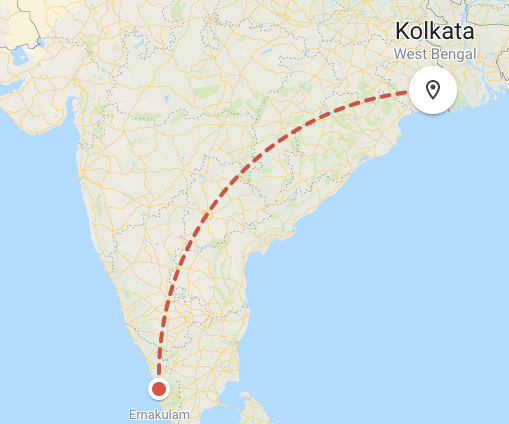 So there we landed few hours after our train from Kolkata to Silguri departed. Generally when something like this happens, we just find an alternative mode of transport and proceed. This time, pretty much every bus had gone and few taxi's we inquired with haven't even heard about the place or they looked at us in disbelieve. 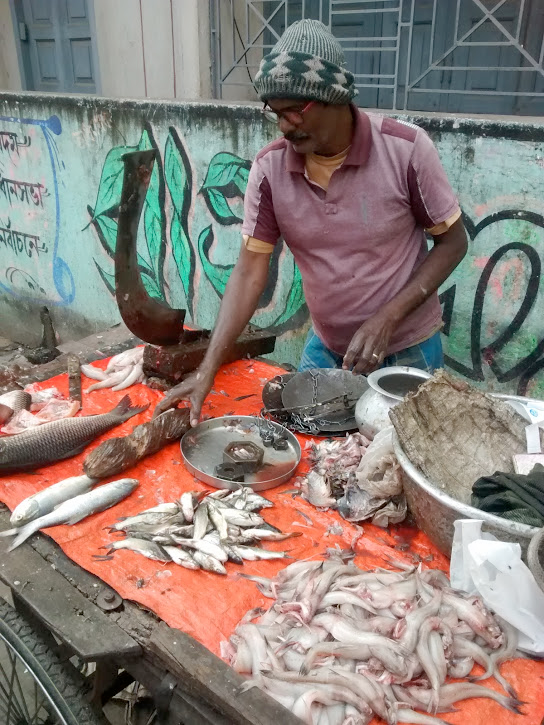 We decided to stay in Kolkta for a day and then proceed to Siliguri the next day. The prospect of being in Koltka was very tempting for me. It was 9 years since my previous visit. 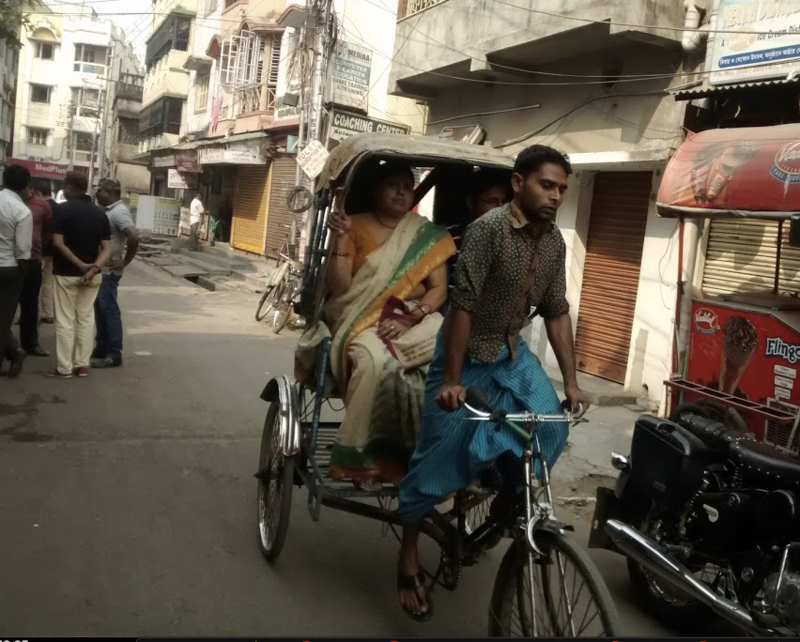 My family had never been there and they wanted to see the cycle rickshaws, the tram and everything else. Everything in Kolkta is magical but this time we found it very difficult to find an accommodation. There was something wrong. The Indian Government had done a peculiar thing, like Venezula and like countries that had collapsed due to civil war where currencies entered crisis, we had just "banned" 80% of currency. I was least knowledgeable and opinionated about the illogical and illiterate act pet named "Mitron" until that day I was there in Kolkata. One of the hotel folks finally told me that, he will will give us room if we may "cash" and they don't accept cards or even nothing other than very specific notes. There we were stranded in an airport, In our own home country with enough money in the bank account and sufficient amount to meet our expenses for 10 days in hand. This was the first time experience when someone in a major city hotel told me that they need specific notes and its impossible to give any change. Like Venezula we were facing a peculiar "commodity" shortage - printed currency printed by a firm called RBI aka federal bank controlled by another company or establishment called Government of India. Many of the hotels were not able to function as they had ran out of "liquid cash". Restaurants told us, they can provide us only those items which they are managing to procure and everyone was apologetic, confused and collaborative. This was when I realized the economy has nearly collapsed and we did a wrong thing by embarking a 10 day journey. The Next day we finally managed to figure out the only way to travel is in bus as taxis are also not able to function as no one wanted to queue in the petrol bunks for hours as that was one place where currencies were available! We traveled from Kolkata to Siliguri in a volvo bus, holed up in Siliguri in our regular hotel. We have a friend and driver in Siliguri who had taken as around multiple times. 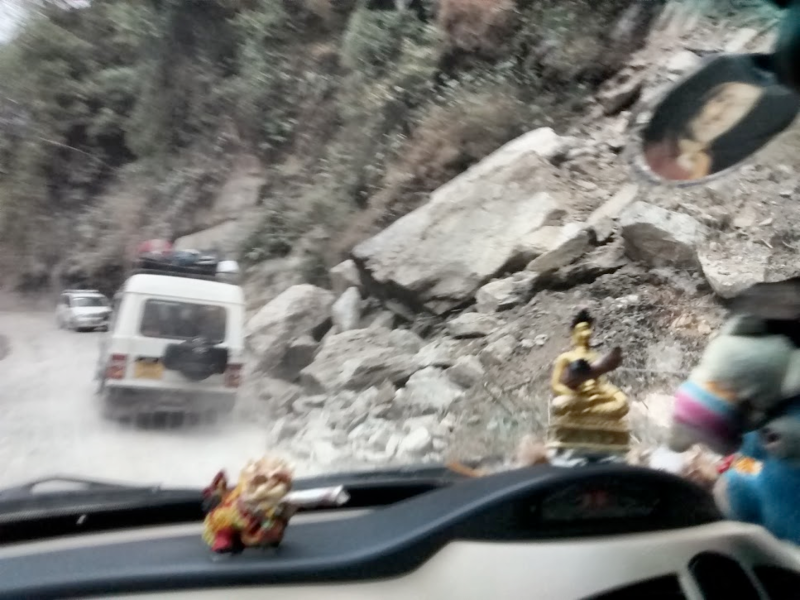 So, We took his vehicle as usual for our trip to Sikkim's capital Gangtok from Siliguri. 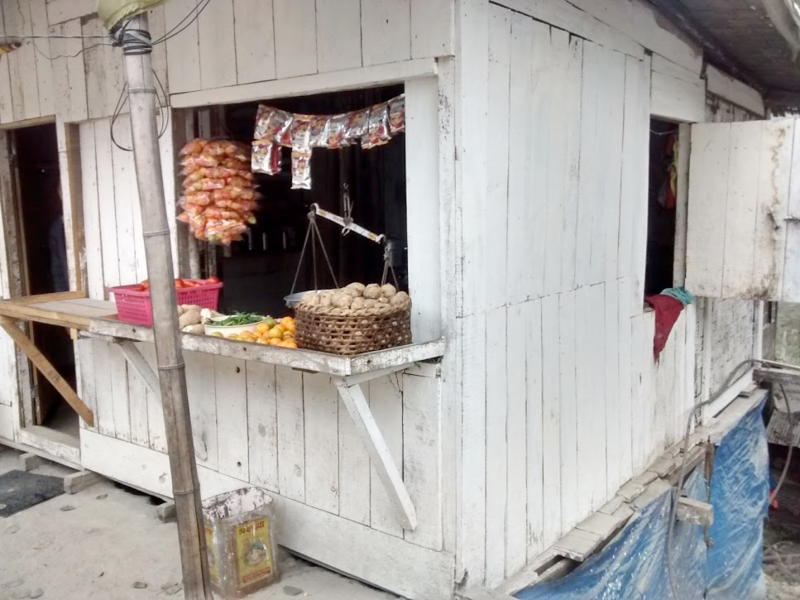 Everywhere in Siliguri, Gangtok & to the taxi we paid in cash. We attempted to stand in every queue at every ATM and finally was able to get some cash. Our quota aka ration for the day. When we reached Gantok, I paid our friend & he wanted to return the change. He searched everywhere, he asked people around, he asked in the shops -- there was no change available. The poor man was confused, bewildered. He won't let us go without giving us the 330 rupee change. The one thing that was hard to find anywhere. He finally said in a sad tone, Sir, I have some notes from Bhutan and nothing else. I told him, its fine and he can give me that. So, there I was, standing In India, a honest person trying to give me what belongs to me. I tried to explain to him that I collect foreign currency as a hobby and I am more than happy to either let go or he can give me the currency whatever currency he has. So he gave me every Bhutaneese currency he had. He said he had only 60 of them - I didn't even look at him, took that from him and walked into the hotel. That was the first time I saw the currency of Bhutan. 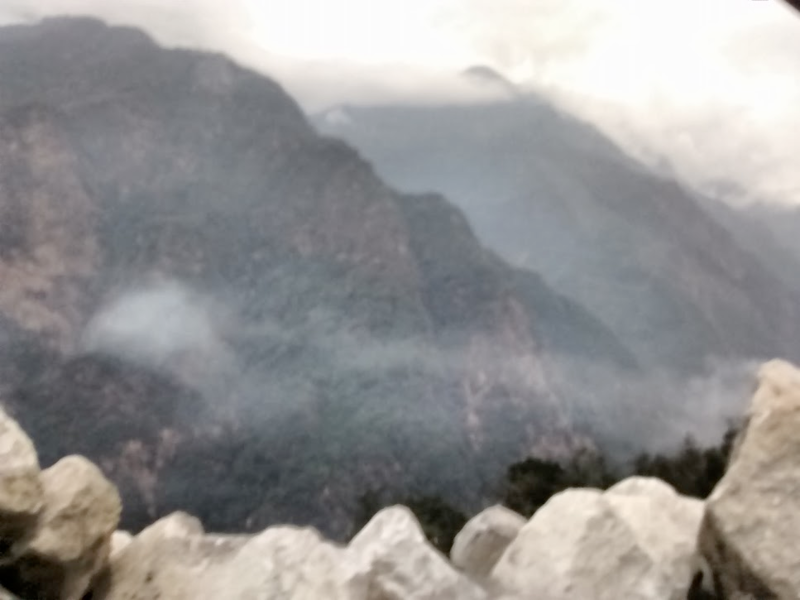 So on the day 4 of the trip, delayed by 2 days we were in Gangtok. Almost half of the money that we had kept with us for the trip was over by then. Luckily the hotel accepted debit cards and we were able to pull out some money by standing in the long, orderly queues in Gangtok. After meeting with few friends, we started towards our destination - Lachen. 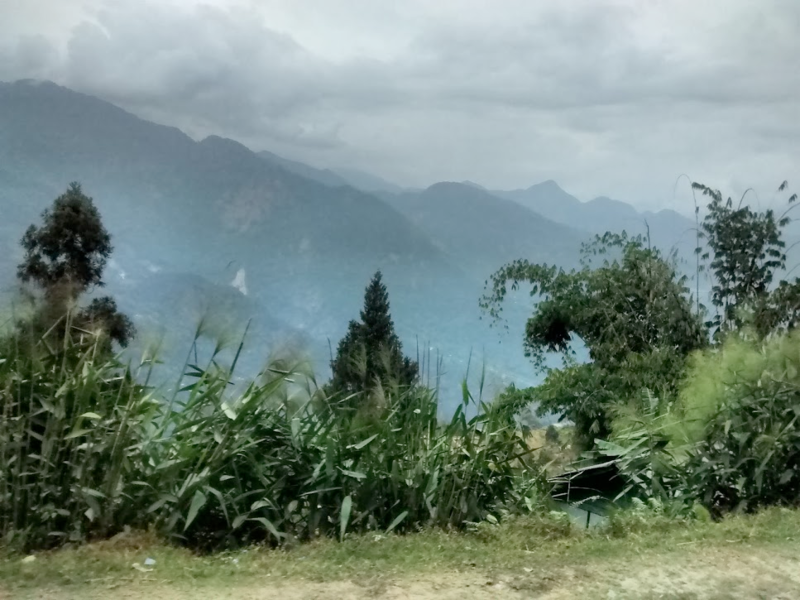 Finally, on the day 5, we reached Lachen and stayed in a friend's hotel. This was my first personal experience with economics. Across the country, I saw people standing in queues. The largest single demographic that I saw standing in the queues were the Army men. Every ATM had a queue or a board that said, no cash. 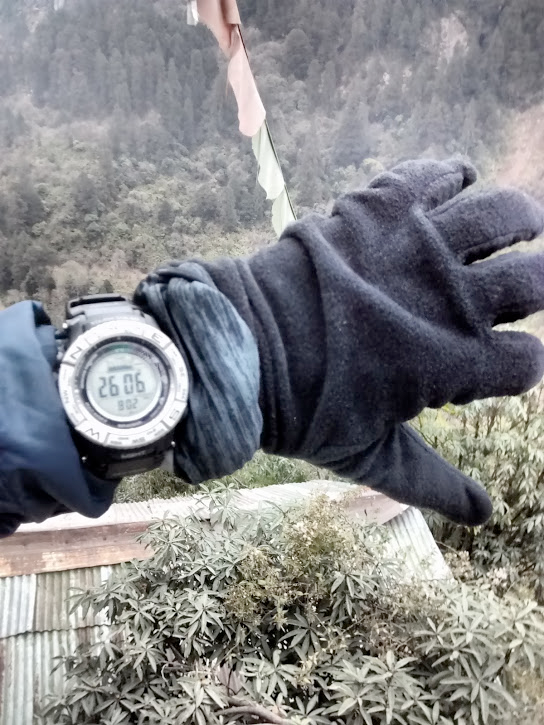 We were nearly out of cash and a mountain village 10,000 feet (2500+ meters) above Sea Level and it was chilling cold. The nearest ATM where we can stand in a queue to get around 20 USD was 6 hours away. But we survived. We witnessed how people raise up and help each other when the governments miserably fail.